Toronto Honda gave me my first Job opportunity in Canada. This made me become very loyal to my new family. I started here in the used car department beginning of 2009 as used car sales specialist. Even at that time, the owner Stacey Ison always saying: “I can’t understand your English”. Stacey still gave me the opportunity because we all agreed that we have to take care of our customers and the result will follow. I am always working hard to create my own business and building up my own customer data base from the day I started. Hard work always has good returns, Mr. Ison brothers promoted me as Assistant Used Car Sales Manager, New Car Sales Manager, GSM and now General Manager. Our Company Value: To be through, conduct business honestly and provide family-like care. At work, Hopefully with our experience, knowledge and guidance, we can help everybody who works with us get better life in Toronto. As 3rd generation in the car business, I have literally been doing this my whole life. I found myself in the service and parts department out of a love for the mechanical aspect of cars. I have been with both Toronto Honda and Torornot Kia for a very,very,very,very long time. I approach life and challenges with fierce determination, and bask in the results. Professional with 15+ years of experience in customer-friendly service, sales, and administrative support. Able to work in multitasking environment, managing priorities while maintaining a positive client focus with courtesy. Experienced in building positive relationships with customers, partners and workmates. Fluent in Brazilian Portuguese. I was born an accountant. It just took me a little while to get the accreditation. Seriously, ask my husband. I love to get at business challenges and solve them – and in accounting, it very much is a case of black and… red. We either make money or we don’t. We get sales or we need to get more. Love it! I’m also a big fan of trying and learning new things and seeing new places. I love to travel, but you won’t likely see me going to the same place twice. My desire for adventure and discovery is currently fed by sailing. Easy to learn and difficult to master – it should keep me busy for the next few years. Born and Raised in the Beautiful City of Toronto, very proud to call this city home (GO LEAFS GO). My family has been in the car industry for several generations. Every Nelson lives and breathes anything automotive related. I’m very dedicated to providing a exciting and easy experience for the customer. When I am not working extremely hard I enjoy hanging out with family, playing with my dogs, playing hockey and working out! Back home I used to be a audit and accounting assistant. I moved to Canada in 2001 since from that time to until 2014 I worked as assistant chef at restaurant Elixor in Montreal. I love cars and I wanted to change my career. So I started as car sales person. I love my new career. If you have any questions or something that sparks your interests, don’t hesitate to give me a call or text. There’s a stereotype about Irish being lucky, and I believe it’s 100% true. I’ve been selling cars ever since I got my drivers license, and I feel lucky to have made the leap from a small Irish town to selling cars full-time with a great team here in Toronto. Prior to joining the Kia family, I lived in Vancouver, all over Australia and traveled extensively around the US. Wherever I went, the right car got me there. Come in and find the perfect vehicle for life’s next adventure. I have been selling Honda’s for over two years and really believe in the product. Honda makes well built vehicles that do not have a lot problems many of the other manufacturer’s do. I have been selling products or services for over 15 years and enjoy the process. I also understand that buying a vehicle is a very big decision for most people and take this very seriously. I want to make sure the customer gets what they want and pay for! Having grown up in the small town of Collingwood, ON, located roughly 2 hours North-West (Not Kanyes baby) of Toronto, I began my work career in the construction industry. There, I was able to develop an extraordinary customer service based foundation which further grew into who I have become today. I moved to Toronto seeking change, and that I found ! Going from parking my car for free in my parents drive-way, to paying 160$ a month. Besides that, I love the cultural experiences I am able to immerse my self in and thoroughly enjoy broadening my horizons with each new adventure. I am a strong believer in providing family like care, always being honest, and providing a thorough application to your car buying process. I am no stranger to hard work and would love to prove to you why Honda is the right choice for you. Growing up in Bangladesh, Australia and Canada it gave me the chance to blend in with every ethics and culture. I have a great passion towards learning various musical instruments and producing and composing music. A die hard enthusiast of culinary arts and hospitality, this is why I took Hospitality management in school. Strongly a believer of building great customer relations through business. From high-school till today I have been a customer of Toronto Honda and I am very positive about making a great name and career from here. Originally from Hamilton, I have now been in Toronto for about a year. This fast paced change has been exciting to say the least and has pushed me to reach my full potential. I have a great passion for cars, having been in the auto industry for a few years now. My main goal is to provide as much as I can towards a great experience, as I can relate to the phenomenal feeling of driving off in that perfect car! Toronto Honda makes this that much easier providing some of the best vehicles on the market backed by an amazing team. I encourage you to contact me for any inquiries, general questions or come down to experience Toronto Honda for yourself! Hi my name is Kris Rajah, and I am a humanitarian above all. I graduated from the University of Waterloo with an BA in Honours Psychology in 2018. Since then I have dedicated myself towards the business world and growing myself appropriately towards my set goals. My number one priority to my customers is to provide prestigious customer service & as well absolute transparency. I want to give customers a sales that they can connect with & trust, and more importantly does not look at them like a means to an end. Some of my goals upon success in this industry to help a third world community by providing structural change that brings sustainability. I want everyone in this world to be able to rely on themselves and their society to grow. We are so blessed here in Canada, and I know everyone else in this world deserves that too. I don’t ever want to lose sight of my goal, so not only is this a reminder for myself but as well to my clients, there’s always a bigger purpose. First & Foremost I take pride in everything that I do. Being new to Toronto Honda I believe in our brand & it’s message. I’m a proud son & older brother to 5 younger siblings. Some of my passions include health, fitness, sports, new experiences, taking risks & helping people. I have been in car business since 2001. Enjoy dealing with people. Happy to assist with your financial needs and pre-approvals. Contact me for any inquiries about mechanical warranty and vehicle protections. Born in Qatar, I moved here when I was five years old and grew up in Mississauga. I have been working with Honda for more than three years at various locations, all within the financial services department. I love the automotive finance industry, and I love helping clients get into the vehicle they truly want and deserve! Now being at Toronto Honda, I am happy to help assist you in securing financing for your vehicle, as well as ensuring we find a vehicle plan that works for you and reduces cost of ownership. Being born and raised in Dubai and having seen all the exotic cars possible, I was always interested in the automotive industry. I came to Canada to gain my Post Secondary education; I thought I would be a banker, however, I never imagined I could actually make use of my love for cars. I am a young professional who strives to provide utmost satisfaction to his customers in their car buying decision. I like playing sports like cricket, basketball, table tennis, squash, and water sports like jet boarding and jet skiing. I was born in Toronto and grew up in the West end of the GTA. I have been in the automotive industry for 17 years and I am very passionate about cars. When I am free I enjoy spending time with my wife and two kids. I also enjoy playing pick-up basketball and watching all sports. Started in the automotive industry at a ripe age of 15 as a co-op student. I then worked my self up to be hired as a full time technician at a Honda dealership. For the next 9 years I learned the in and outs of being a technician. In those years I learned that my passion was dealing with people and sharing my knowledge to benefit them. Three years ago I took a leap of chance and changed my career direction to a more customer related field. 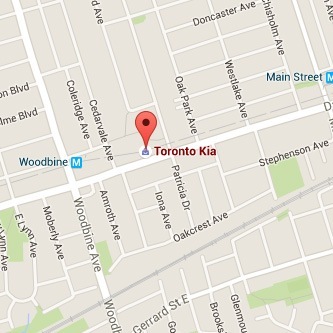 I was born and raised in the community of Toronto Kia. Its great to be serving familiar faces within the community. I am Alfredo Mata Jr 36 years old a Filipino born citizen and married to my beautiful wife.i work in Saudi Arabia from 2010 to 2017 as a auto technician of AlJomaih automotive company.i love playing basketball and i love playing computer games.i am hardworking, dedicated and trustworthy person and a very quite person as well. I am ‘obi’ Juan I am a proud new member of the team and I am planning to develop a long term career here in KIA. I enjoy travelling, playing golf and scuba diving. I’m here to meet your auto parts needs and exceed your expectations! Thought I was going to be a Chiropractor. One day my father sat me down and convinced me that I should try the family car business. That was over 35 years ago! I love sports, specifically I’m a passionate mountain biker, marathoner and a Padi scuba diving instructor. Being with nature is food for my soul. I look forward to my annual canoe trip to Algonquin Park with my wife Jacquie and if I’m lucky, my 3 daughters as well.